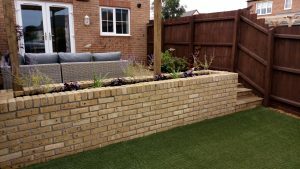 This very small new build garden was on two levels. The upper level was retained with green oak sleepers which were already showing signs of advance decay even though the property was only two years old. 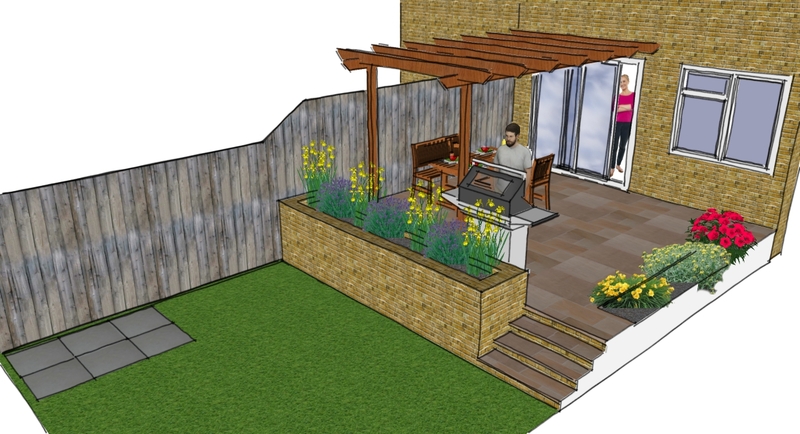 the design is simple and serves to owners requirement for somewhere to socialise and space for there dog. Landscaping work here involved stripping out the old sleepers and building in a brick and block raised bed and steps, on a substantive foundation to provide a long term solution to holding back the upper level. 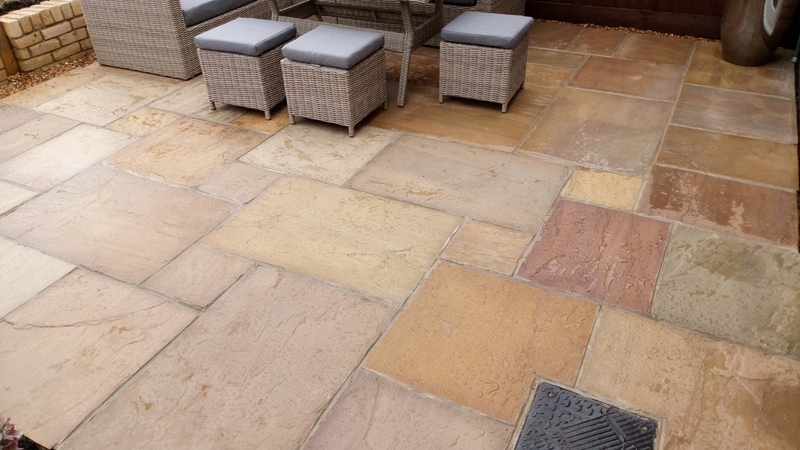 The lower level is surfaced with artificial grass for the benefit of the family dog and the upper level is paved with a patio made from ‘Sahara Multi’ sandstone paving. Above the patio is a large pergola to provide some screening from the neighbours and occasionally the sun on the hottest days.